Whether you are fresh out of college or leaving your internship, chances are that you will want to look for full-time employment soon. The video production industry is a lucrative field with numerous career paths and specializations to choose from. However, as a new candidate on the block, you will rarely have a chance to pick and choose your job description. Depending on the number of candidates a job opening attracts, an interviewer might only have about ten seconds to look at your resume (excluding the portfolio). 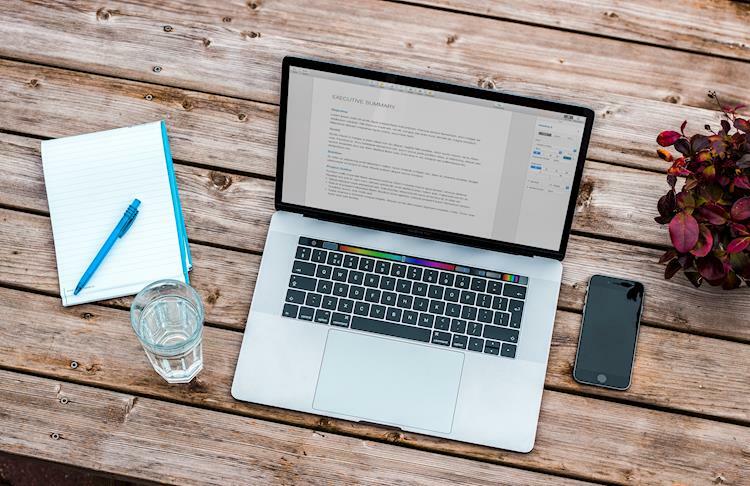 Writing an entry-level resume can seem daunting for a young video editor, so let’s take a look at several steps that can help you out and get you employed. Create a template which will be used throughout your resume, portfolio and cover letter later on. This shows a level of expertise and professionalism on your part which is something that’s valued in the video production industry. Contact information is something you don’t want to get wrong in your resume. Make sure that your email, phone number, and/or home address are correct before you consider submitting the application. You can use platforms such as ResumesCentre or Grammarly to edit your resume online without a text editor of your own. You may be the perfect candidate for a video production company or a small enterprise, but if they can’t get in touch with you, they might just move on. Don’t make the simple mistake of switching two numbers or leaving out a letter in your email address. Double-check your contact info before moving on to other resume elements. Listing your previous experiences is the pivotal part of your resume, even at entry level. Make sure to list all of your formal, non-formal, volunteering and private projects, experiences and anything that might seem relevant to the position you apply for. If you don’t know how to list or format your education and experiences personally, you can use platforms such as FlashEssay and Hemingway to get some assistance. A marketing-based agency will want to see advertising-related experiences first and foremost, for example. No two companies will accept the same resume and you will have to move things around depending on their service portfolio. Even if you worked on copyrighted materials and can’t add them to your portfolio, you can still link those designs in your application for the employer to view. It’s also a good idea to create an online portfolio or a personal webpage with your video production materials which makes the entire application process that much easier. Applying for a video production position without a portfolio attached is a lost cause from the start, even if you apply for entry-level or technical positions – some proof of your skills will always help out. While it does make sense to add as many details about yourself as possible, your resume should still stick to a one-to-two page format. Any additional details about your ambition, future plans and work habits can be hashed out during your interview. In order to get there, however, you will need to show expertise in crafting a short but very informative resume. Using tools such as Proofreading Tool and EssaySupply can help you eliminate the noise in your resume if you end up stuck in limbo. If a motivational letter is not asked of you, don’t write one on a whim. Spend that time working on formatting and proofreading your resume and portfolio to perfection. Once you send your application to potential employers, it’s important to stay vigilant and available for interviews. Make sure to check your email frequently and keep your phone close for extra measure. Given how competitive and time-based the production industry has become, you will be hard-pressed if you miss an interview call. In the meantime, do background checks on other potential candidates and always keep your options open. There are production studios and agencies out there specifically in search of entry-level editors. It’s only a matter of time before you land an opportune position and start building your professional career in the video industry.